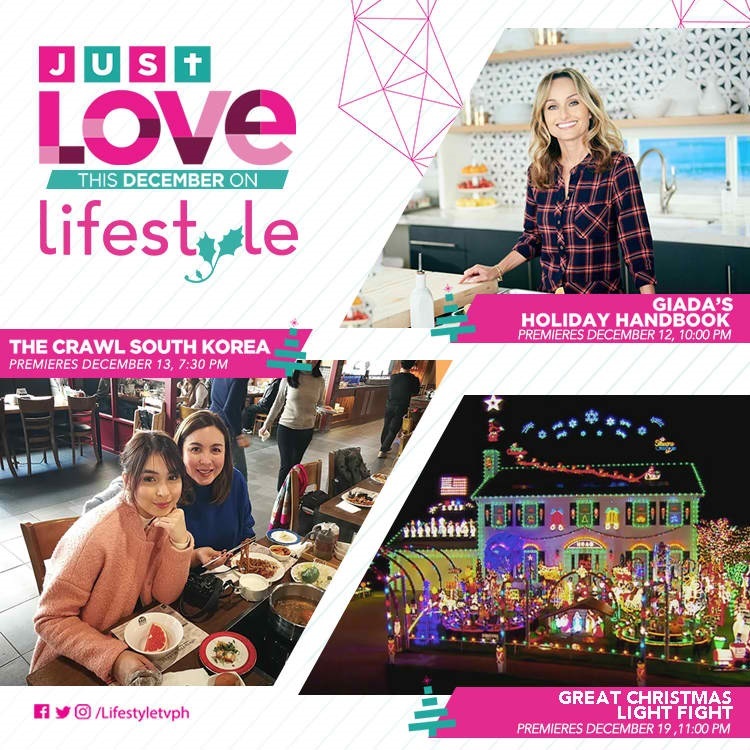 “Giada’s Holiday Handbook” premieres on Tuesday (Dec. 12) at 10pm, while “The Crawl: South Korea” airs on Wednesday (Dec. 13) at 7:30pm. Catch the “Great Christmas Light Fight” starting Dec. 19 (Tuesday) at 11pm, and relive the story of the young queen in “Victoria” every Saturday at 10pm on Lifestyle TV, available on SkyCable and Destiny Cable channel 52, and Sky Direct channel 31. For updates and a complete schedule of shows, follow Lifestyle on Facebook (facebook.com/lifestyletvph), Instagram and Twitter (@lifestyletvph).